As part of a series of blogs, articles and interviews, examining issues of citizenship and community, Dr Ajmal Hussain, Research Fellow in Sociology at The University of Manchester uses his work with young Muslims to reflect on the challenges facing Greater Manchester in addressing radicalisation. The new Mayor, Andy Burnham, has a timely opportunity to actively engage young people in a policy area that has been contentious among this group. Through my research on emerging forms of citizenship and politics among young urban Muslims, I am aware of the contrast between the promise of more bottom-up approaches and current criticisms of the government’s top-down approach. There are three areas that are likely to present a challenge to the efficacy of the Mayor’s ambitions; community cohesion, shifting perceptions of Muslim Britain and taking the review beyond Greater Manchester. The term community cohesion may require some disentangling of received wisdoms around race, ethnicity and belonging in policy making circles. We should pay more attention to the complex geographies of young people’s lives and how they are increasingly connected with others through social media. Andy Burnham’s pledge to review how extremism is tackled in the Greater Manchester region seems welcome and perhaps inevitable after the Manchester Arena tragedy in May this year. The response epitomised in the symbolism of We Love Manchester suggested there is much goodwill, hope and energy to be harnessed locally for what is being billed as a grassroots initiative. But after the three terror attacks which happened during the general election campaign that yielded many surprises, including the creation of a national level counter-extremism commission, it would not be unreasonable to assume there will be challenges for any work in this area. I want to reflect on some of these below based on encounters with young Muslims through my research. It is no secret that the Government’s existing Prevent strategy has been the subject of much critique among politicians, media, civil society groups and academics. It is, therefore, wise for the Greater Manchester leadership to be mindful of the climate in which any action they take will sit. There has been growing disquiet among sections of Britain’s Muslims toward government policies in cities with large Muslim populations. I have first hand experience of witnessing grassroots responses to intrusions of Prevent into everyday Muslim life (Hussain 2014). Others too have noted a key fallout from the Prevent strategy as being the en masse stigmatisation of Muslims as a ‘suspect community’ (Kapoor 2013). It is important, then, to pause – so as not to repeat mistakes of the past that have led to a ‘Prevent fatigue’ being felt across important constituencies of Muslims; particularly the young. With the focus broadened from issues of security to include the societal realm; the term ‘community cohesion’ is now back in play. This may be a welcome shift away from what has been perceived as a disproportionate focus on Muslim communities; however, this idea will require some disentangling of received wisdom around race, ethnicity and belonging, in policy making circles. A public embrace of the idea of community cohesion could be hampered. This may be due to negative connotations of it following the 2001 disturbances in northern towns that spawned public concern about so called ethnically and spatially bounded communities being responsible for the absence of community cohesion (Alexander 2004). It may now be that we can at least return to discussions about multiculturalism or living with difference through paying attention to the vernacular forms of hope and togetherness embodied in the chants and slogans of the thousands who claimed “We Love Manchester”. One ironic feature of Muslims in Britain is the juxtaposition of different sensibilities and sentiments toward them. These usually surface in spectacular moments, such as the perceptions prompted by iconic images of South Asian taxi drivers ferrying victims from the Manchester attack and the ‘Hero Imam’ from the Finsbury Park mosque all set against the horror of those moments. What is also significant, however, is the shift in demographic trends of what is now reflective of Muslim Britain. A key feature of the British Muslim population discernable from the 2011 Census is its youthful profile and overwhelming concentration in cities. In places like Manchester and Birmingham up to half of all Muslims are under the age of 25. This group is particularly conscious of being caught between established policy that is felt to be top-down, and the new promise of a bottom-up approach. As Nazir Afzal and Baroness Warsi – two prominent Muslims likely to feature on the government’s new counter-extremism commission – have suggested, the unrepresentative nature of significant interlocutors from the Muslim community has led to much cynicism toward the efficacy of official counter extremism initiatives. Mayor Andy Burnham has an opportunity to address this concern by actively engaging young people’s voices in the review process. This entails also thinking beyond Greater Manchester; not only because the trajectories of radicalised young people reveal connections beyond their own neighbourhoods and cities. Therefore, attention should be paid to the complex geographies of young people’s lives, which means that despite attachments with their neighbourhoods, young people are increasingly connected with others beyond these through social media. This makes belonging a more elastic condition than imagined about Muslims confined to inner-city ghettos. Think about the networks that spawned from Libya to Manchester or across Dublin, Italy and Barking in the case of the recent attackers. These should prompt us not to box-off people within Greater Manchester, but to pay attention to the role Greater Manchester plays in the messy lives of people caught up in extremism. The focus on this question is to be welcomed. What remains to be seen is whether it will be part of the new ‘politics of hope’ or if it will get folded into stalled policies that have come before it. 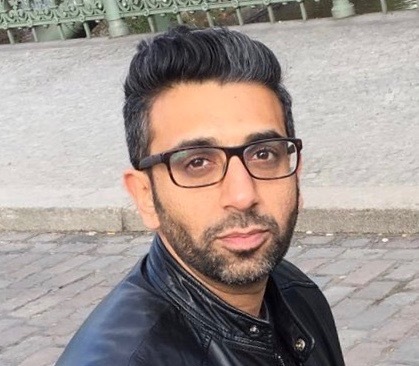 Dr Ajmal Hussain is Research Fellow in Sociology at The University of Manchester, working on the Dialogue About Radicalisation and Equality (DARE) project funded as part of the EU Horizon 2020 Research and Innovation programme. He has held visiting fellowships at LSE Cities and Aston Centre for Critical Inquiry into Society and Culture.